Mistake #8: Burglars aren’t the only source of danger! Not knowing what to do or who to talk to is the biggest mistake. The net is a great source of information, but when it comes to security, there’s nothing like talking to professionals. Such as who, you may ask? Us. For security system information, call DTN offices at 585-261- 4480, or DTN President Donald T. Noga at his personal line directly at 585-342-4480. There’s no charge, and we’ll be happy to hear from you. Mistake #10: Not using DTN. Seriously — to get completely professional protection, you need to hire professionals. That’s DTN. You can make mistakes #1 through #9, or you can hire DTN and never worry about it again. Thousands of clients have picked DTN and many have been with us for decades. 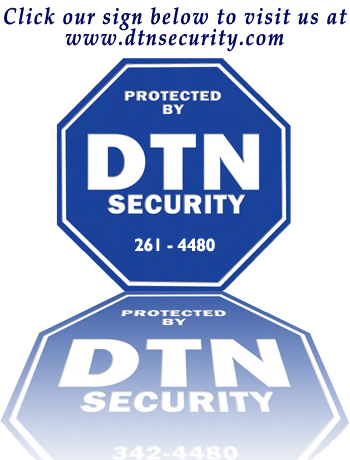 To get great protection, get great protectors — DTN at 585-261- 4480.